Wednesday 16th October 2013: Oh what a KNIGHT – Beverley Knight that is! 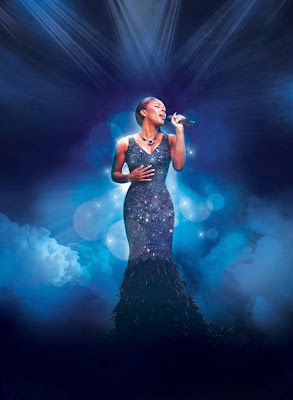 Backstage Pass were cheering along at the recent cast change press night of The Bodyguard, playing at the Adelphi Theatre, which saw England’s own diva powerhouse Beverley Knight magnificently take the helm as leading lady Rachael Marron. Beverley gave a vocally stunning performance and marked her territory as ‘Queen of the Night’. She played a very human Rachael Marron reminding audiences that behind every superstar is a normal person with their own emotions and vulnerabilities. Her show-stopping rendition of the huge classic I Will Always Love You reduced the audience to tears and longing for more. To follow in the footsteps of incredibly popular Heather Headley, who originated the role, was always going to be an enormous task but Beverley takes it on graciously giving an equally impressive performance adding her own flair to the role. Also new to the cast is ex-Casualty star Tristan Gemmill who plays the almost fearless bodyguard, Frank Farmer, whose only fear is not being there for Rachael and her family when they need him most. Tristan plays to the sympathetic side of cool and focused Frank and will surely be a hit with audiences; including his humorous rendition of a rather well known Whitney song. No stranger to the show, Debbie Kurup from the original cast continues to wow audiences as Rachael’s sidelined sister Nikki Marron whose vocals blended perfectly with Beverley to give a spine-tingling version of Run to You definitely a loveable character played by an even more loveable actress. For those technically minded bods this show will not disappoint Tim Hatley’s clever design provides seamless segues between scenes that remind audiences of the shows cinematic roots. Thea Sharrock’s direction is one of the best out of all recent shows I have seen – the show has an exciting tempo which keeps this thriller musical flying along not allowing audiences to slip off for a second. An outstanding show with a well deserved standing ovation which I defy anyone not to ‘wanna dance with somebody’ by the end. Undoubtedly one of the hottest things in the West End at the moment!